To understand Beto O'Rourke as a candidate, it's vital to go beneath the surface of his political backstory. News watchers are already well aware of the former Texas congressman's good looks, charisma, youthful energy, and fundraising prowess. But most remain unaware of an inconvenient truth that could undermine the O'Rourke campaign among the people who matter most -- the ones who'll be voting to choose the Democratic presidential nominee next year. O'Rourke is hardly eager for those upcoming voters to realize that the growth of his political career is rooted in an alliance with powerful Republicans that began 15 years ago. Or that he supported raising the minimum age for Social Security in 2012. 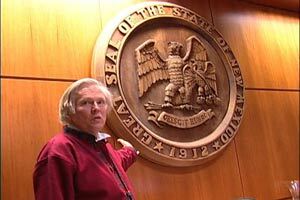 Or that during six years in Congress, through the end of 2018, he often aligned himself with Republican positions. If facts matter, such weighty facts could sink the "Beto for America" presidential campaign. Since his announcement, information gaining traction nationwide runs directly counter to the Beto brand. 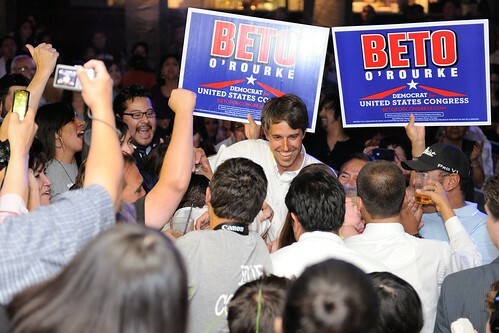 "Before becoming a rising star in the Democratic Party," The Wall Street Journal reported a week ago, "Beto O'Rourke relied on a core group of business-minded Republicans in his Texas hometown to launch and sustain his political career. To win their backing, Mr. O'Rourke opposed Obamacare, voted against Nancy Pelosi as the House Democratic leader and called for a raise in the Social Security eligibility age." "Several of El Paso's richest business moguls donated to and raised money for O'Rourke's city council campaigns, drawn to his support for a plan to redevelop El Paso's poorer neighborhoods. Some later backed a super PAC that would play a key role in helping him defeat an incumbent Democratic congressman." 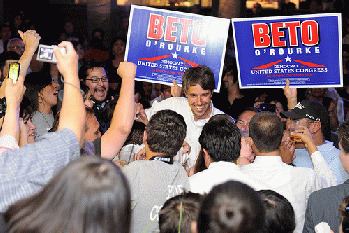 "O'Rourke worked on issues that had the potential to make money for some of his benefactors. His support as a council member for the redevelopment plan, which sparked controversy at the time because it involved relocating low-income residents, many of them Hispanic, coincided with property investments by some of his benefactors." "As a congressman, he supported a $2 billion military funding increase that benefited a company controlled by another major donor. That donor, real estate developer Woody Hunt, was friends with O'Rourke's late father. Hunt also co-founded and funds an El Paso nonprofit organization that has employed O'Rourke's wife since 2016." Overall, the Post reports, "in contrast to the aspirational image he has fostered in recent years," O'Rourke's political career has gone along a path of "winning support from a typically pro-GOP business establishment interested in swaying public policy. Born into one politically potent family and married into another, he benefited repeatedly from his relationships with El Paso's most powerful residents, including several nationally known Republican money-men." To put his more conservative actions in context, O'Rourke cannot plausibly claim that he was striving to be in sync with the voters who elected him. El Paso and the House district that O'Rourke represented are heavily Democratic. The Wall Street Journal summed up this way: "In a one-party town the Democrats have held El Paso's Congressional seat for all but one term since 1902 local Republicans viewed Mr. O'Rourke as one of their own." Naturally, O'Rourke would much rather talk in upbeat generalities than answer pointed questions about why anti-Republican voters should cast ballots for him when he has a long record of going along with many GOP positions they find abhorrent. It may be better for him if unflattering coverage fixates instead on matters like youthful stints as a punk rocker and early computer hacker. It was just seven years ago when during his first run for Congress O'Rourke did a campaign video to tell people in the blue West Texas district that "we'll have to look at future generations ... retiring at a later age, paying a greater percentage of their income into Social Security, and making other necessary adjustments." And, The Wall Street Journal reports, "in a candidate questionnaire published two days before the May 2012 primary, Mr. O'Rourke called for raising the Social Security eligibility age and means-testing federal entitlements." According to exit polling, O'Rourke won that election with major help from Republicans who opted to vote in the Democratic primary and cast their ballots for him by a ratio of more than 7 to 1. After becoming a congressman, O'Rourke backtracked and, as Politico reports, "co-sponsored legislation that would increase Social Security benefits without raising the retirement age." Yet his wobbly stance on Social Security in this decade is a warning flag. O'Rourke's affinity with Republican sensibilities related to corporate power has continued. So has largesse from interests that are the antithesis of progressive values. Notably, for his final term, Beto retired from the House as the member of Congress who was the second-highest recipient of campaign cash from the oil and gas industry. In June 2015, O'Rourke was one of only 28 Democrats out of 188 members of the party in the House who voted to give President Obama the power to negotiate the corporate-oriented Trans-Pacific Partnership. The measure squeaked through the House, propelled by support from 190 Republicans. A year later, the TPP was a highly visible and contentious issue at the 2016 Democratic National Convention, where hundreds of Bernie Sanders delegates held anti-TPP signs. (I was one of those delegates and still support Sanders.) These days, O'Rourke is typically aiming to have it both ways, as Vanity Fair reported in a campaign kickoff cover story last week: "O'Rourke now says he would have voted 'no' on the ultimate agreement. But in 2015, he traveled with Obama on a trip to Asia to help build support for the deal." Interesting. I worked on Beto's Senate campaign for 1200 hours and you bring up many important and sometimes alarming things about which I knew almost nothing. I am a very strong and long time Bernie supporter, which I make very clear, and on that, I am not wavering at all. I do sense the charisma of Beto, although I am not at all the kind of person to be mesmerized; his ability as a wordsmith is brilliant, and he seems to be all about dialogue. Admittedly, I have a hard time reconciling my perceptions with what you have accurately reported; I certainly thank you for all of the exhaustive research and bringing all of this forward. Many political leaders court the opposite party's power brokers in their communities when they start out, and please do remember that he came up in Texas where remotely being any kind of liberal at all makes you Satan's community brother. As to oil and gas contributions, to freak out on that is to manifest a total ignorance of what Texas is all about, and to deny the under-girding reasons as to why all of those folks would jump ship and give money to Beto; they are not stupid people, after all, which so many of my liberal brethren are so quick to very mistakenly posit. It is early in the campaign, and a lot will sift out. I just hope the Democrats can not be so vociferously divided as in 2016, with that rotten baggage-laden candidate. Of course, the Trumpeter-in-chief makes things more and more divisive by the day! As to specific votes, each member of Congress has their own reasons to vote as they do, and you either trust them to do that or not; we can't micromanage every single vote, after all. Bernie's voting record and the causes he espouses are pristine for me, and I would rather an older man that I trust implicitly become President. Nelson Mandela and Gandhi weren't too old, were they? 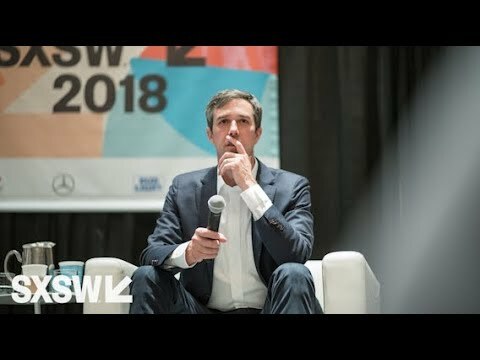 Beto O'Rourke | Can Small-Donor Progressives Win Local Elections? | SXSW 2018 Bernie Sanders showed that big money isn't needed to run a presidential campaign, changing the national calculus. But can the same be done in Texas?